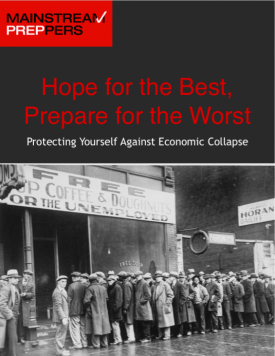 If you’re a prepper at heart but live in the city, chances are you may have given up on the idea of self reliance when it comes to food. After all, how could you possibly garden in the middle of a bustling urban center? 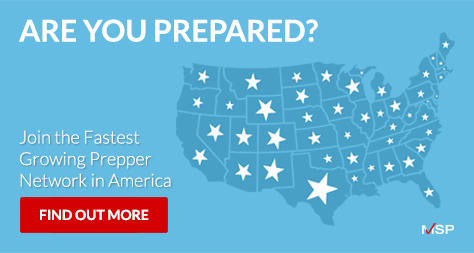 Your conundrum isn’t unique, which is why many preppers have gone an extra step and have gardens that will provide fresh fruit and veggies throughout your growing season — and even beyond. 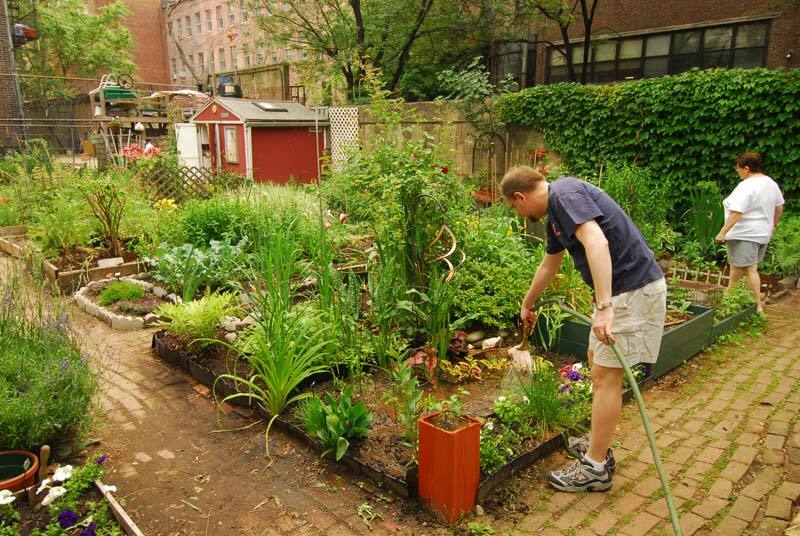 Here’s a few urban gardening tips to help get you started. If you live in an apartment, no matter how small it is, chances are good that you have a patio. If you have a patio, even a token one, you can have a terrific patio garden. A quick trip to the local gardening center or big box store will offer an amazing selection of planters for a container garden. Choose self-watering containers that are low maintenance that will allow you to grow more with less fuss. If you truly don’t have much room, think vertically. Although your landlord might not appreciate something nailed to the exterior walls, you may be able to still have a vertical garden without much trouble. Try creating a vertical planter from a wooden pallet. If you don’t have a patio or are at ground level, you may have to come up with some creative ways to garden. One way is a community garden patch somewhere on the apartment’s space. You will have to get permission from your landlord, but if a few like-minded individuals are game, you may have enough people willing to tend to the garden. 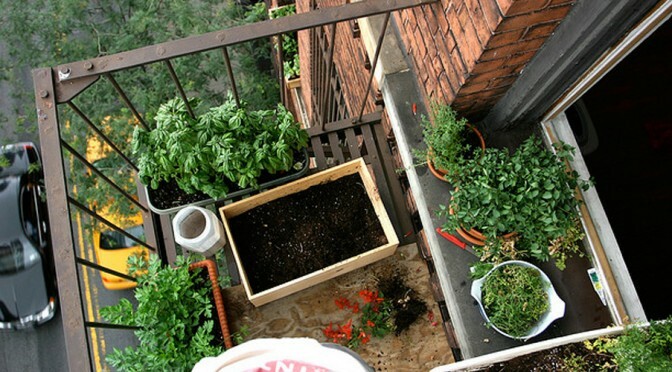 If that doesn’t work, try container gardens in an inconspicuous place such as along the side of the building, behind the building, on the fire escape (leave enough room for people to get by if there is a fire), or at the front door. If you truly have no room you can use outside, think indoors. You can go vertical with your garden if you use an old bookshelf or an old entertainment center and convert it into your garden. You can often find free entertainment centers through Freecycle.org. People are switching from their older tube TVs to flat screens and discover their entertainment centers no longer work. Repurposing these entertainment centers are a useful way to build the perfect vertical garden. You can put your container gardens right on the entertainment center. Herbs do especially well indoors and out. There are many varieties of tomatoes that do well in hanging baskets. Potatoes, radishes, salad greens, dwarf French beans, and mushrooms can all be grown indoors. If you go to your local gardening center, get a strawberry planter (the ones with the odd side openings) and put your strawberries or herbs in that. Dwarf citrus trees can also find a home inside your apartment and make it smell wonderful. Just because you live in a apartment doesn’t mean you have to totally rely on others for your food. With a little innovation, you too can have a great garden in your apartment.